Modern Eyes Optometry provides extraordinary eyecare and eyewear services to many patients in Cerritos, CA and the surrounding communities. We are honored and take great pride in the fact that they entrust us with their eyecare. Please take a look at what they have to say about our services in their reviews and patient testimonials. We would like to thank our patients who have worked with us through the years for their loyalty and support. "Very clean and great customer service." "Very nice and welcoming place. Great customer service and I love the doctor." "excellent service from doctor to staff"
"Always great service! Very friendly and approachable staff and doctor. I always know I am in good hands." "Very friendly personal clean office. Dr visit very professional. I would recommend this office for your new eye ware." "The whole experience was welcoming and I felt very comfortable. Iris was a great help to start things off." "Very professional and the staff is attentive to your needs. Very caring and welcoming atmosphere." "Excellent professional staff. Office is modern and clean. Friendly with my kids. Dr Chen is superb. Was seen at our appointed time." "Everyone is friendly and personable at the office. They are efficient and get you in and out on time. Dr Chen is a very intelligent young woman. She really listens to your ailments and gives you sound advice for your specific visual situation. The office has a great selection of glasses and modern equipment to diagnose you. Great experience, I'll be bringing my family over." "Great, fast and friendly service! I recommend to everyone." "Love that though I don't come here but about once a year and they actually remember me! They asked me how I was and remembered I went on a trip. Truly a great and non-pressured experience, super friendly and quick. I'll be coming back here for years (and I brought my aunt for her first time and she loved it too)! Lots of great selections at a lower price than other places. You can even make appointments online and they text you reminders or when your glasses are ready"
"Staff very attentive and helpful !!" 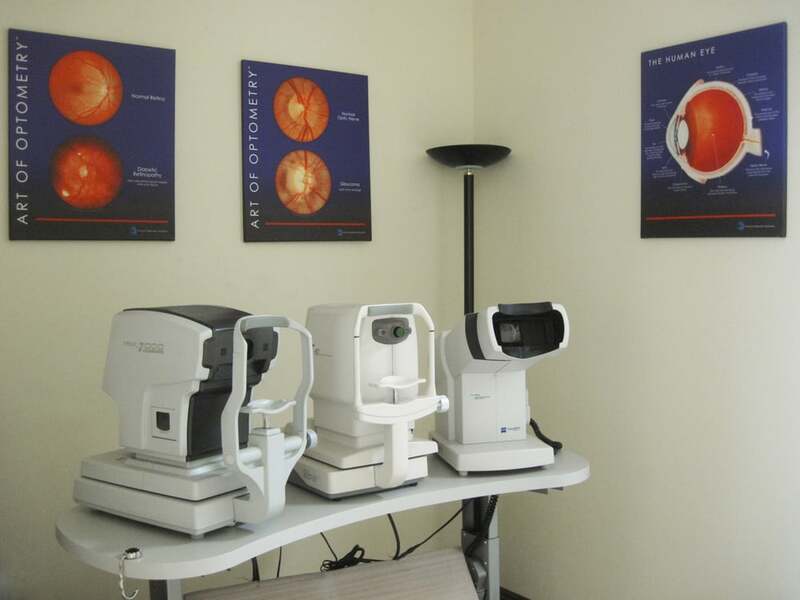 "This is consistently the best experience I've had at an Optometrist. Excellent customer service. Very friendly and extremely helpful." "The staff were friendly and very professional. The service was excellent." "I had a pleasant experience. The optometrist Dr Jill Chen is very warm and friendly." "They greeted me with a smile and were very attentive. The Dr. and staff were very friendly and seemed genuinely interested in helping me and knowing about me personally." "Receptionist was courteous and friendly, very accommodating. Dr. Chen was likewise courteous and friendly and very knowledgeable. I got everything I need." "A fine experience with lots of care. I am definitely their returning client. The recommendations were given without any sale pressure as you will usually get at some other optometry. Will definitely recommend. The Dr. did qualify time without any rush to see next client." "Dr. was very through. Service was excellent and the front office staff was amazing. Glad I found your office on Yelp!" "I was extremely pleased with my optometry appointment! I was surprised to learn that there was a new doctor but Dr. Chen was thorough, informative, and helpful. I was beyond ecstatic to know that after 2 years my prescription didn't change very much and that my eyes were healthy. I was told on my last visit that I would probably need trifocals in a couple of years and that there was concern about the health of my eyes. Iris was also helpful in choosing my frames. She was honest about my choices and I appreciated that." "Very professional and friendly. No waiting past my appointment time." "Very easy to make appointment for my daughter and they even squeezed me in for an eye exam for a new prescription for contacts. Staff are very friendly and provide excellent service. A+++++"
"It was my first eye exam in about ten years and the staff at Modern Eyes made me feel very comfortable. I think there is only one doctor that works there- Dr. Jill Chen, but she was very professional and explained all the procedures when asked. I have a wide face and narrow nose bridge, thus making it somewhere between hard and impossible to find a comfortable frame. The front desk staff were very patient with me as I tried what felt like almost everything on, and then settled on one. I haven't picked up my glasses yet, so holding out on a full five star review. Might also go back for sunglasses given their selection!" "great selection of eyewear, and a friendly staff with a genuine interest in their patients." "Friendly and Professional Care, will come again." "Everyone was was amazing and very helpful"
"The service was excellent and all who I talked to were nice and helpful." "Both Dr. Chen and Iris were very pleasant and personable. Very thorough with the examination. Thank you." "We had very good experience when visiting this office. Dr. Chen is very professional and very sharp! The staffs in the office are young and also very professional. As a senior couple we got very good services here. Both my husband and I got very nice glasses in this store after a week from the eye exams. They are exactly what we want. We would like to highly recommend this office to the people who need GOOD glasses!" "Alex & Irish (Staffs) are friendly and very well verse about information in various eye glasses brands as well as describing prescribed eye glasses definition & terminologies in lay-men's terms." "Great customer service. Fast friendly service. Nice local optometry." "Workers were very helpful and even gave me suggestions to save me money!" "Friendly and professional service. Outstanding." "Excellent customer service. Great selection of frames and quick turn around time for glasses. I was more than satisfied with my experience with Modern Eyes Optometry. Every employee is professional and courtesous. I highly recommend this place!" "Staff is very friendly and my appointment was completed in a timely manner, but wasn't rushed. The staff was prepared for my exam at the exact time and explained my insurance coverage clearly. Overall, great experience." "The doctor is very good and informative. She did an amazing job with my daughter, she was very knowledgeable and made my daughter very comfortable and explained everything to us and why it was important for my daughter to always wear her glasses. The receptionist / assistant was very sweet with both of us and very helpful." "ThIs optometrist and the staff members were very nice and did their job professionally and with courtesy. Environment was very clean. I will recommend this place to anyone who need to an eye doctor!" "Very efficient no waiting . Knew just what I needed. They don't try to gouge you. knowlegable about VSP benefits. Learned new things about my eyes that other doctors never told me. Also my 3 children were all very impressed with the Doctor, assistant and facilities. Doctor is taking a proactive stance on my children's eye health. I feel I have found an eye doctor that my family can go to for years to come." "Everyone was very friendly and professional. Man at the front desk went over our coverage in detail. We found out important coverage that we did not even know we had." "Fantastic Customer Service, was extremely pleased with the front office staff along with the Optometrist, She was extremely thoroughly, professional, and actually was great about explaining to every step she took as she examining my eyes." "Staff was friendly and extremely helpful. I would recommend this facility to friends and family." "Very friendly staff and verify efficient!" "They were extremely nice and funny and mafe my family comforted"
"Great experience! Friendly staff. Quick sevice and great receptionist! Recommend this office!" "We had a great experience at your facility. Everyone was extremely helpful and professional. Your establishment is beautiful, so fresh and modern!!!! We will definitely be back with the entire family." "Very efficient and through. The receptionist was extremely helpful and patient. I would like to see a larger selection of frames. Prices are reasonable." "I had a great experience, both the Doctor and the receptionist were really nice!" "Best of service as usual - Kudos to all! Thanks!" "So far so good! The staff was very nice and helpful. The Doctor was very professional and nice too. I also like the fact they didn't try and up sale....My prescription didn't change, so they didn't pressure me to get new glasses or contacts. I did get glasses, I'm just waiting for them to come in now. I love their selection too. They have great styles and brands. I'm usually picky and would drive far to get a great selection, but I lucked out, because, Modern Eyes is very close to my house." "I had a great experience, great customer service. Very helpful." The biggest compliment you can give us is to let others know about us. Whether you choose do this by leaving us an online review or patient testimonial on sites such as Yelp, Google+, or Facebook; or by telling your family and friends about us, we greatly appreciate your feedback as we strive to continually improve our services. Thank you for allowing us to provide you the peace of mind that you are receiving the most advanced eyecare available. No gimmicks or sales pressure, just Peace of Mind You Can See. Ready for Peace of Mind You Can See? Come see us at Modern Eyes Optometry! Call us at (562) 809-2020 or use our convenient online appointment request form and experience peace of mind with all of your eyecare needs.